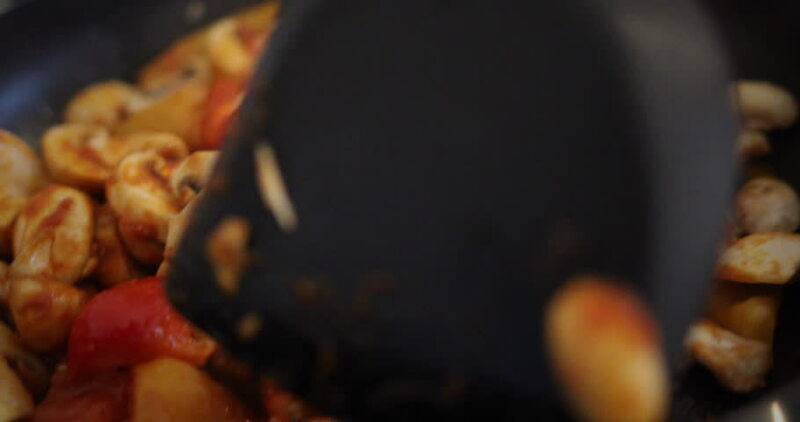 Close up shot of mushrooms and sweet peppers being stirred through a frying pan. hd00:14A bright burning fire and black coal. hd00:09Night lights bokeh.Blurred New Year and Christmas background. hd00:29Fish baked on the grill.